At ten months Abichielle weighed 8 malnourished pounds as Grace House staff began fighting for her life. Now thriving Abi joyfully plays. 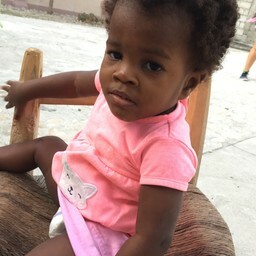 Rescued at 10 months malnourished and struggling Abischaëlle weighed only 8 pounds. 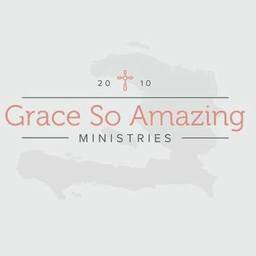 The Grace House staff fought hard for her precious life and now because of the round-the-clock tender care of our mammas, she is thriving. At first she couldn’t lift her head, sit, or roll over, but now 16 month old Abi can giggle and play and is full of life. Abischaëlle is known for her stubbornness and contagious giggles, she continues to capture the hearts of all who meet her.